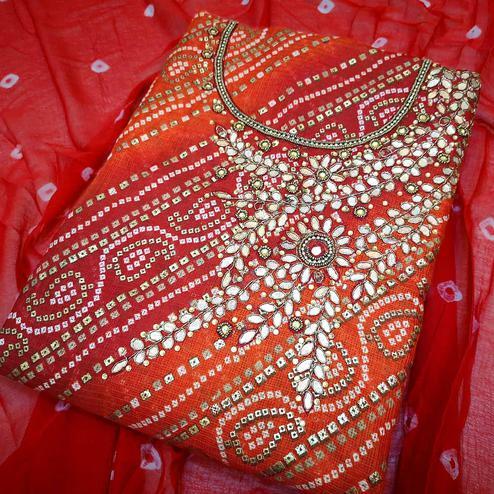 Grab this orange colored dress material fabricated on silky slub beautified with print work and tassel. 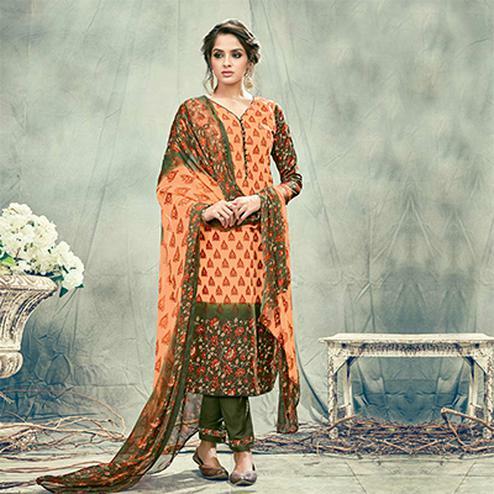 This unstitched suit comes along with blue color cotton bottom and multicolored printed chinon dupatta. 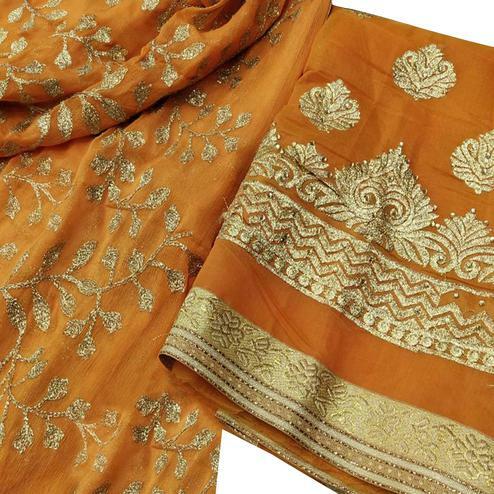 Grab this dress material now and get it stitched as per your desired fit and comfort. 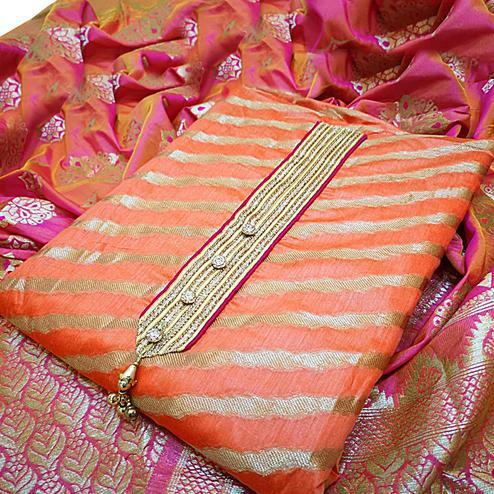 Ideal for casual outing and weekend get together.